Scientists have dug up a mysterious creature. 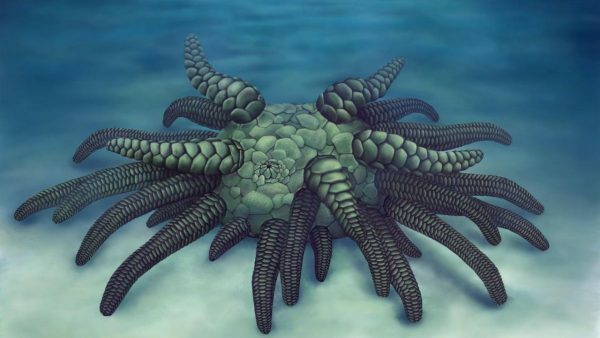 It used to stalk the sea 430 million years ago. It’s now fossilized and has been excavated. The Sollasina Cthulhu was found in volcanic ash the had built up in what is now Herefordshire, UK, which is famous for preserving both the soft as well as the hard parts of fossil. “The excellent preservation of fossil specimens is owed to Silurian (443-416 million years ago) marine life. The marine life was entombed in volcanic ash, which caused calcite precipitation. The process happened so fast that soft parts didn’t have time to decay, becoming preserved as sparry calcite.” according to ZME Science. The UK and US have studied it. They’ve discovered that it is a distant relative to the sea pig and other types of sea cucumbers. The creature, though only 3cm wide, has many long tentacles, which appear to have been quite monstrous to other smaller marine life; probably fish. Sollasina used the tentacles, A.K.A. tube feet, to crawl and capture food found on the seafloor. Sea cucumbers, like our Cthulhu, don’t have eyes, though many are sensitive to sunlight. They tend to live in the shallow waters. Sea cucumbers hide during the day and hunt at night. They also quickly retract their tentacles when approached. 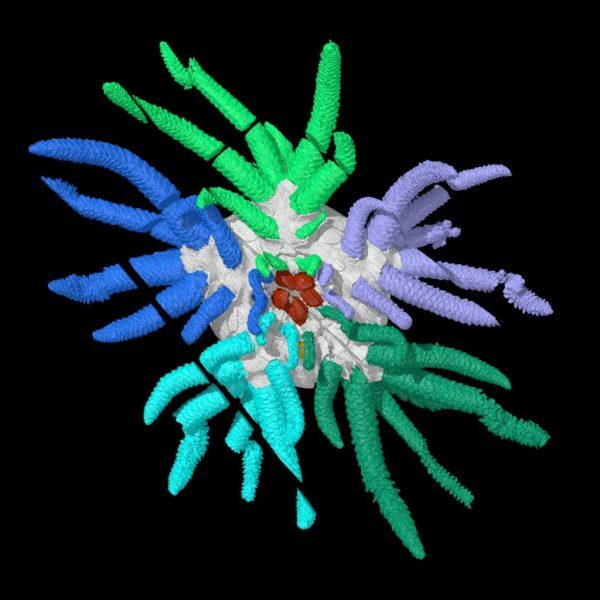 Scientists took many pictures as they went over the fossil, doing this helped them discover that Sollasina is actually closely related to the sea cucumber.